When you think of the holiday season and what best showcases its beauty, you think of a poinsettia. The poinsettia is a timeless holiday plant that will forever represent the holidays and bring cheer through its leaves. All our poinsettias are grown onsite in two of our many greenhouses. With our team of growers, Dawn and Jenny, led by our Production Manager Ron, we can grow and maintain healthy, full poinsettias. Grower Dawn hand selecting poinsettias for a wholesale order. Our poinsettias start off as small cuttings with no roots. We start the growing process by sticking them in the beginning of July and misting them until they establish the start of a good root system. From there they are moved to another greenhouse where they are properly spaced and irrigation tubes are set in place. Here they will be cared for and grown until they are ready to be sold. 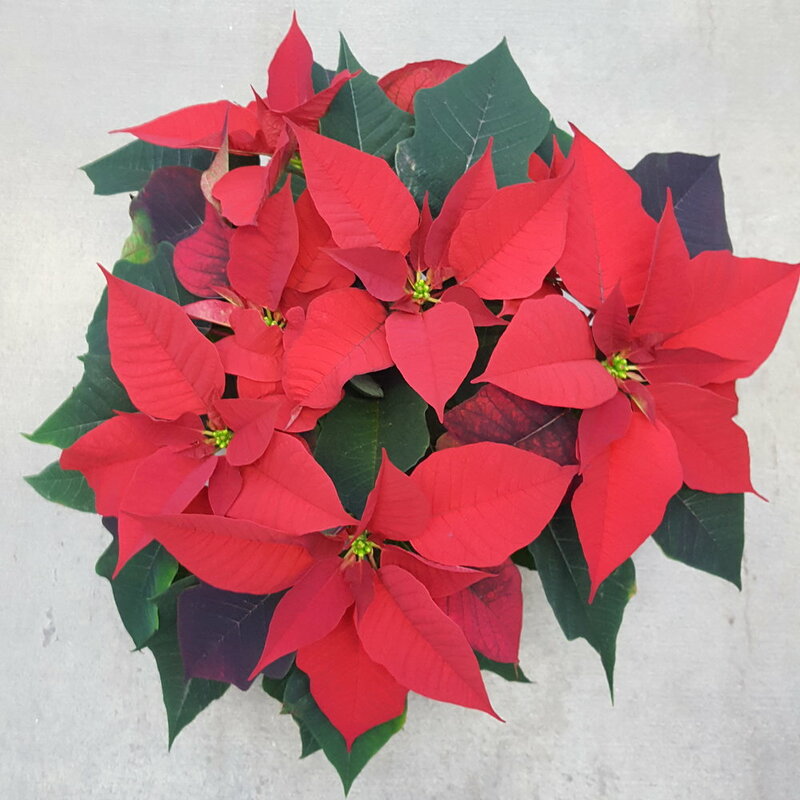 Every year we hand select the healthiest, most sturdy poinsettias available to make sure our customers are getting the best product possible. So, next time you are looking for a poinsettia, think locally grown, think Lynde Greenhouse & Nursery!